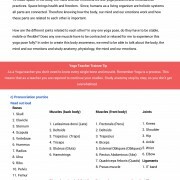 Introduction to Yoga: What is Yoga?, Yoga is for everybody!, Alignment, Styles of Yoga, What are the Chakras? 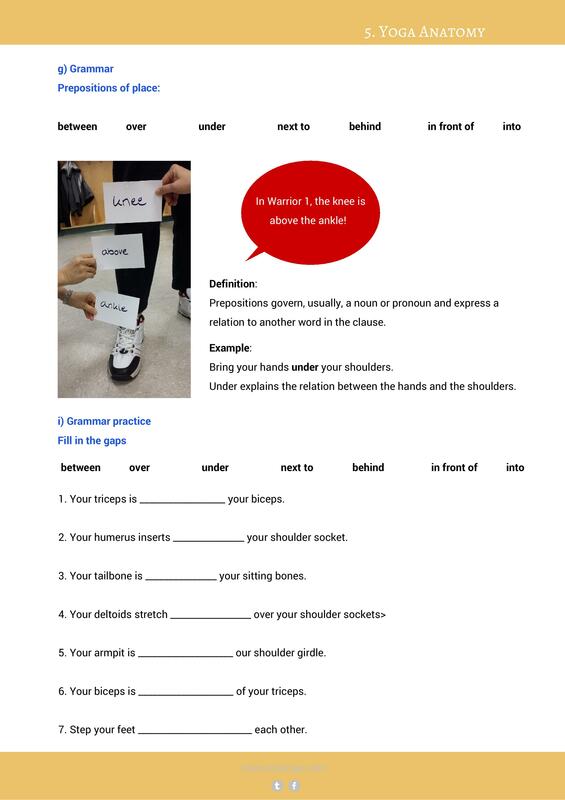 All lesson plans include reading, writing, conversation, grammar, vocabulary exercises and mindfulness/meditation activities and peer teaching activities. 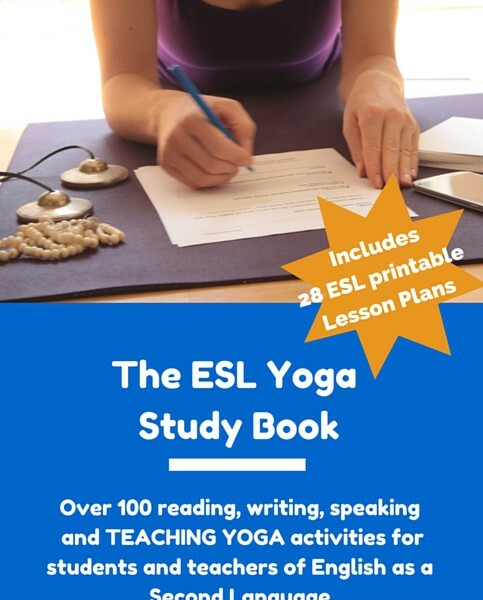 Categories: Books for ESL Students, Books for ESL Teachers, Books for Yoga Teachers. 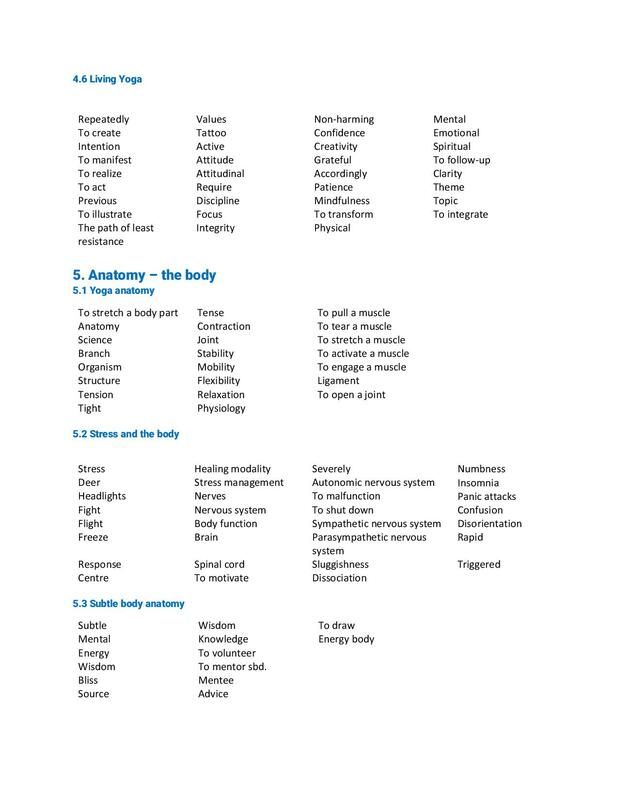 Tags: English as a Second Language, ESL, Teaching, Yoga. 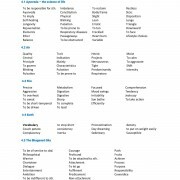 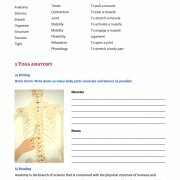 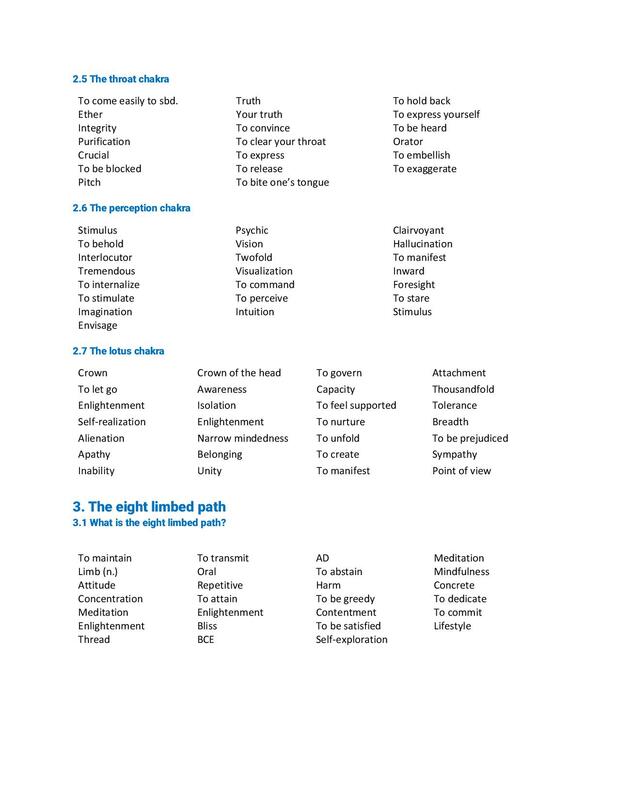 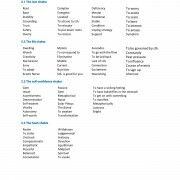 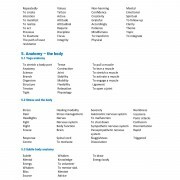 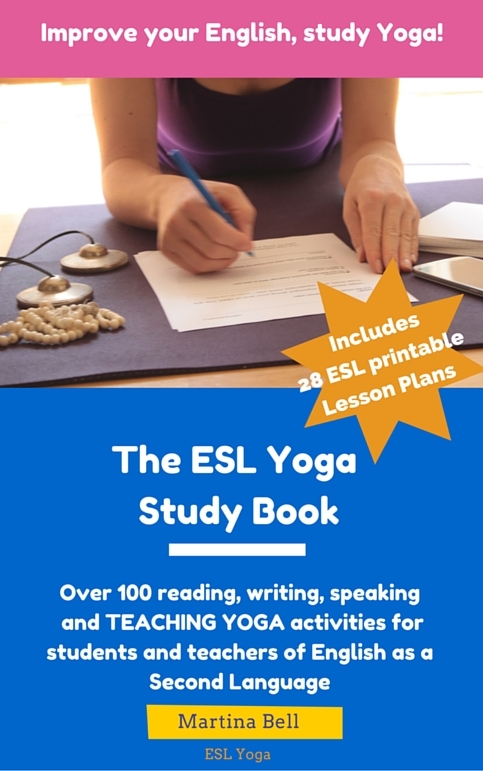 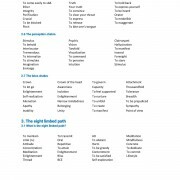 The ESL Yoga Study Book is a comprehensive DOWNLOADABLE, PRINTABLE and READY-TO-TEACH/STUDY lesson plan package that helps you to improve your English while learning about Yoga! 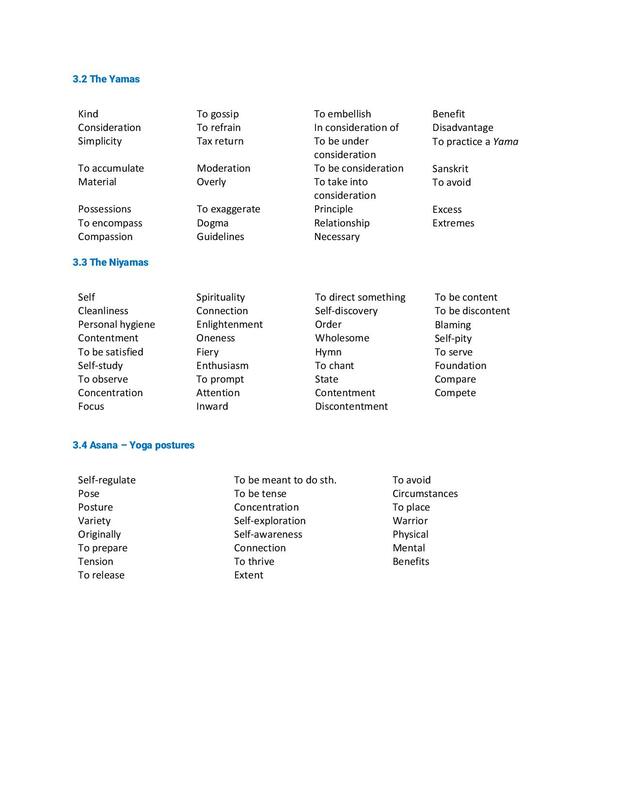 To use it you don’t have to be a Yoga teacher. 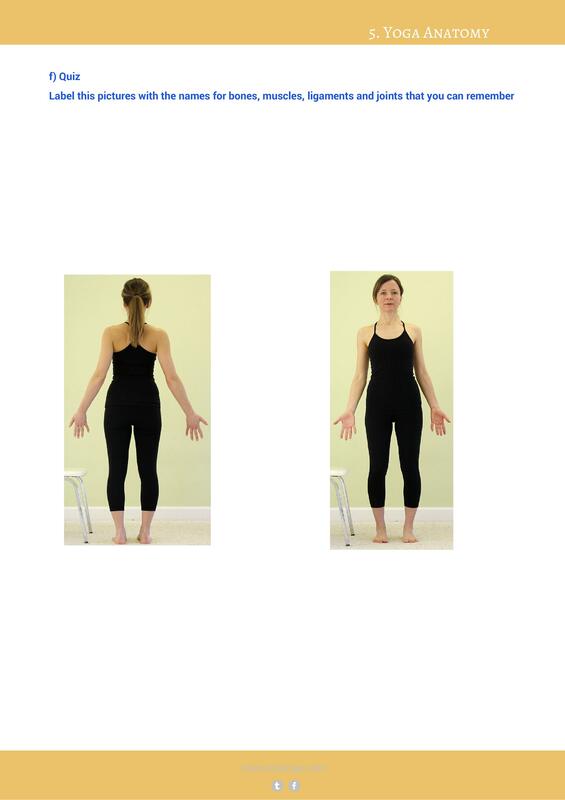 You only need to be interested in Yoga. 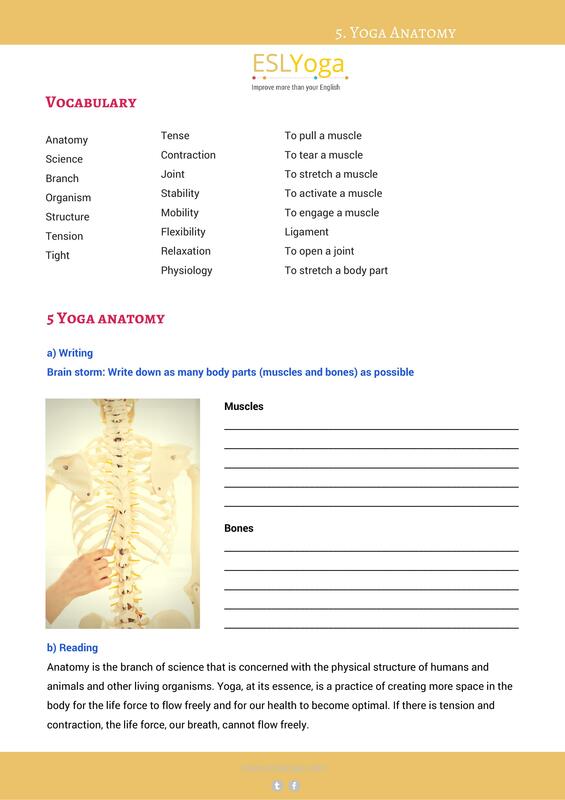 The study book consists of 175 pages, so you have to be very interested in Yoga. 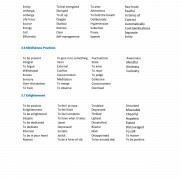 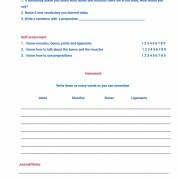 To improve your English I have added many reading, writing, speaking, grammar, vocabulary, gap-fill etc. 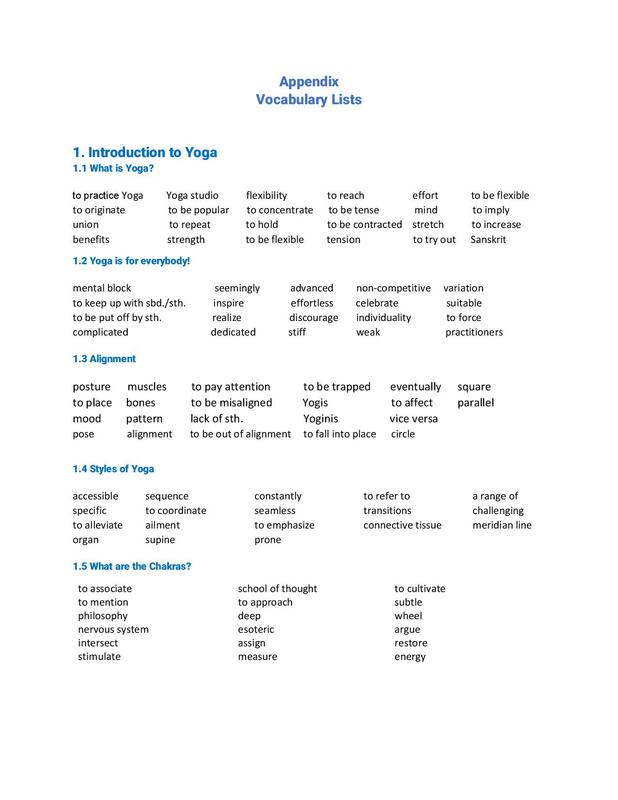 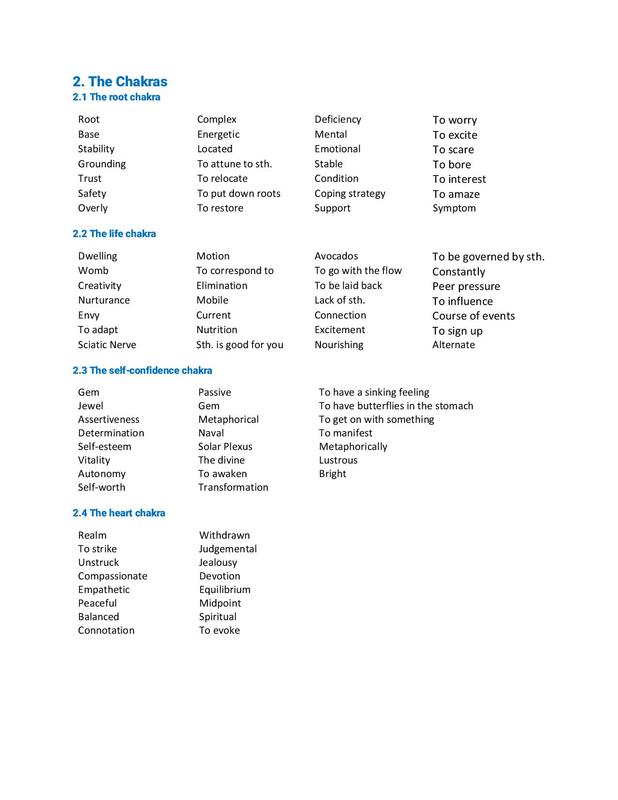 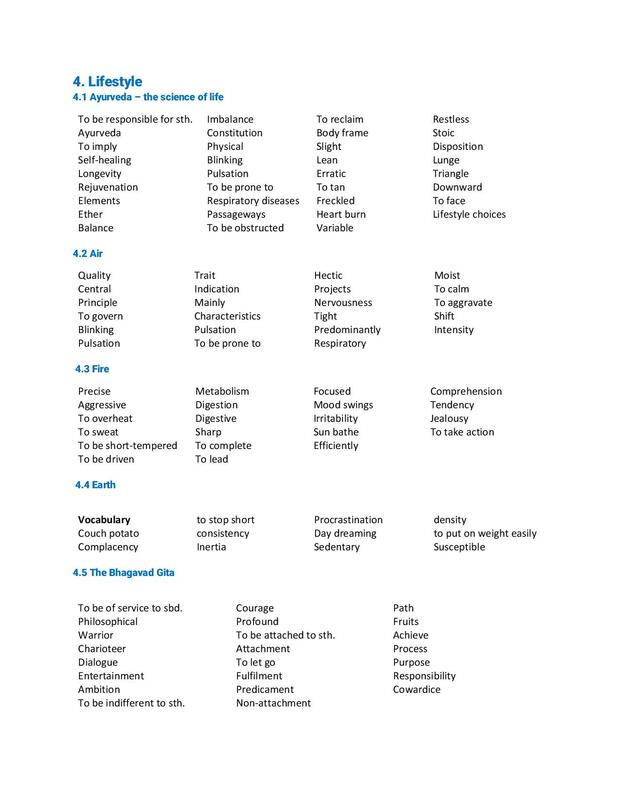 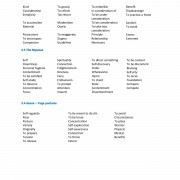 activities, so you can practice your English in the context of Yoga! 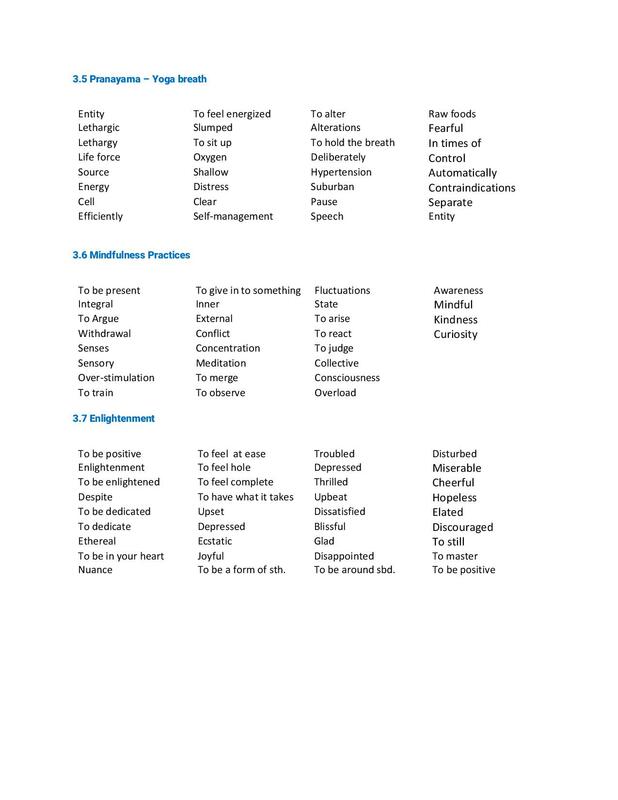 This is helpful if you’re training to become a Yoga teacher and English is your second language. 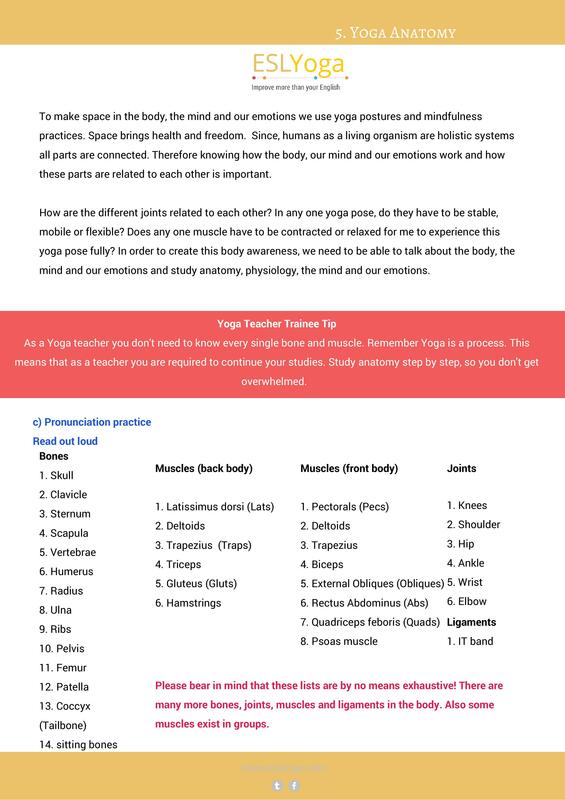 You will also find it useful if you’re an English teacher who would like to include Yoga in their lessons. 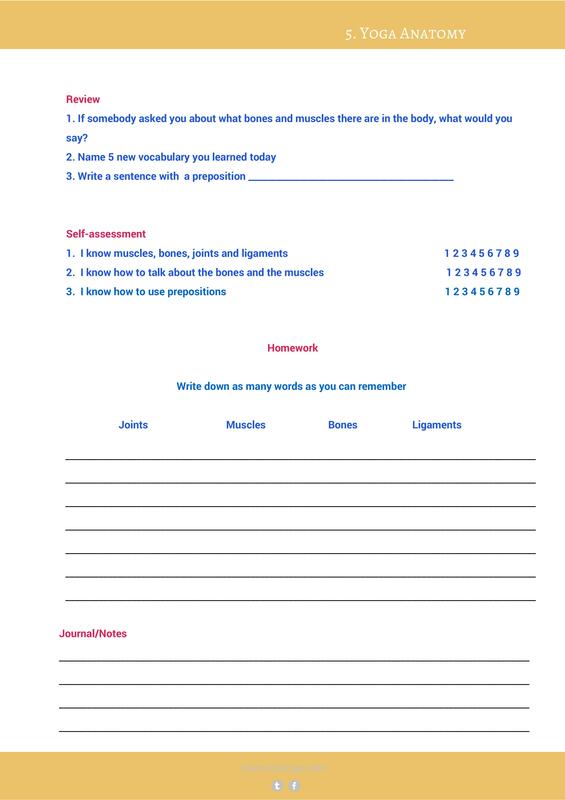 At the end of each lesson plan, your students will have the opportunity to reflect on their learning and self-asses their progress. 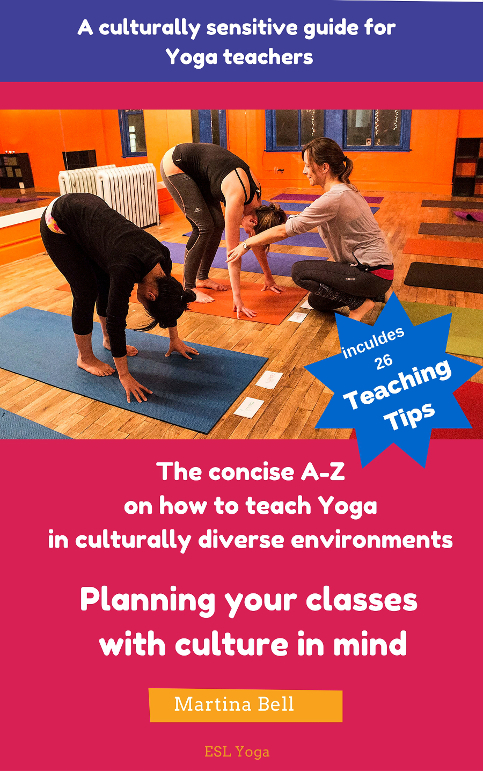 The outline of topics follows the curriculum of a 200-hour Yoga Teacher Training Program (Yoga Alliance registered), so you can use it also as a supplement for a Yoga Teacher Training.